We're almost ready to turn the calendar from 2014 to 2015, we're excited about the great campers that will be at North Star this summer. Below is our latest update of campers. Want to see who else will be at camp in 2015? Here is our October list of new and returning campers. Do you know of someone who is looking to go to camp or might want to learn more about North Star? Fill out our Refer a Friend Form and we'll send them some info. Send us your NSC Gear Pics! Is it really almost winter break? Many of you are down to your last few days of school for 2015 and we know that you are looking forward to a few weeks off. For some that may mean some time to relax at home, catch up on shows that have been on the DVR for a few weeks, and hang out with friends. We know that many of you are headed out of town, off to visit family, spend some time in the sun, or hitting up the slopes for skiing and snowboarding. Whatever your plans are, have a great winter break! For those of you headed out of town, first and foremost, we hope that your travels are safe and without much hassle (yes, easier said that done). Have a great time wherever you go and make sure you end 2015 and start 2016 in great fashion! One more thing... When you're packing your bags, don't forget to bring along your favorite NSC shirt, hoodie or other camp gear! 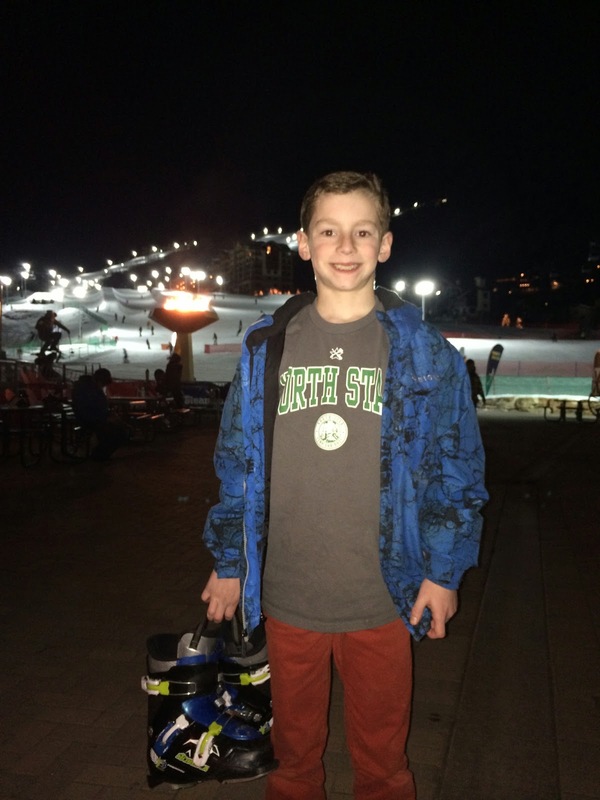 Winter break is the perfect time to send us along your NSC Gear Pics from all over the globe. 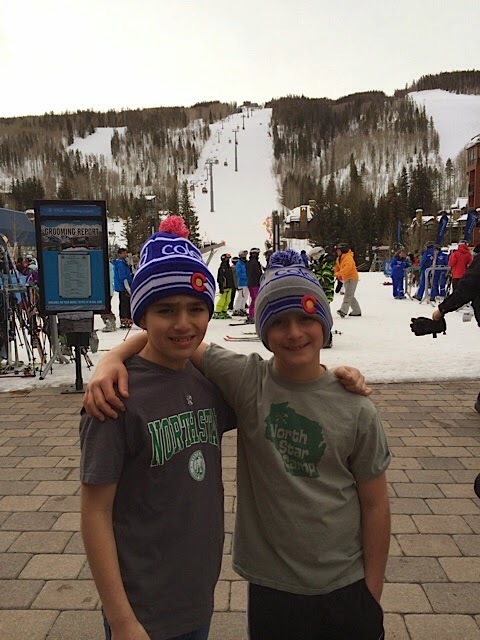 We love seeing our campers sporting their NSC clothes, whether its on a ski hill in Colorado, in front of an International monument or even in your living room. Make sure to get a pic and send it along so we can share it with the rest of the NSC family. We hope that everyone had a great Thanksgiving! Whether you traveled somewhere or stayed home, hopefully your holiday was filled with fun family visits, good food and a bit of downtime. Its crazy to think that the calendar has now turned to December and we're just a few weeks from winter break and the holidays! We know that this project will make our campers and staff very happy. Our main washhouse is in the midst of a major renovation. We started by gutting the existing shower area and enlarged it to include the area that housed our hot water heaters. The concrete floors were removed and replaced with a new drainage system. The concrete was a key because it was important that the new concrete was poured and cured before winter set in. By the time camp starts, the new shower area will see a total of 14 showers. Those showers will be fed by new tankless water heaters which will ensure enough hot water for all of our Junior and Intermediate campers and staff. New dividers, walls and an epoxy floor will make the washhouse look great! We'll also be adding more sinks to the washhouse and freshen up the walls! Once camp ended, the building's interior was gutted. Tom, working with his brother-in-law Art, then moved the counselor quarters from the ends of the building to the middle of the building. The finished project will mean that the camper quarters are bigger, with the cabin configured much like the J-4/J-5 cabin is.Tom and Art finished this project while we were at camp and the cabins looked great! Over the years, our I-Village cabins received lots of TLC, with work done both on the interior and exteriors of the cabins. I-1 was one cabin that didn't receive an overall renovation. I-1 is a log cabin and is a really neat building with lots of character. While the logs will stay and the outside will maintain that character, the inside will receive new, knotty pine walls. This project will have some fun challenges for Tom and Art as they create a flush surface for the new walls. Check out more pics of our off season projects! Greetings from the Northwoods! Andy and I decided to take a quick trip up to camp this week. November at camp can be a great time to visit. Its often a nice time to be up in the Hayward area, just as the fall is ending. Temps are often in the 30's and you can still get some pretty mild days. Of course, for most of you, you're likely seeing cold weather that is far below normal. Take heart, odds are that its a heck of a lot colder here than where you are! Since we headed up here early Monday I don't think we've seen temperatures north of 11 degrees. We did come up here for a reason. Tom Brokaw, our caretaker has been hard at work on several camp projects. We wanted to check in on him, see the work that he had done, and also talk about some other projects. When we got to camp, Tom and his brother-in-law Art were hard at work in the Kings Lodge cabin. Over the past few weeks, they have been reconfiguring and upgrading the insides of the building which houses two of our Senior Village cabin. They'll soon be relocating up to the Ridge and working on an overhaul of the interior of cabin I-1. The other big project that has began several weeks ago has been a renovation of the interior of our Junior Village washhouse. It was important that some of the significant work was done before temps dropped below freezing and thankfully the early cold held off just in time for that. Keep an eye on The Siren as we'll be posting full details of our off season camp renovations, including pictures of the work being done. We also had quite a bit of time to walk around camp. In addition to the cooler than normal temps, the Hayward area got about 16 inches of snow last week. While this made a hike around camp a bit challenging, it certainly added to the beauty of camp. Camp in the winter is totally different than summer. The trees are without any leaves, so you can really see from one end of camp to the other, spotting cabins and other things that are normally hidden by trees. The day we arrived here, Andy and I checked out the washhouse and then headed down to swim point and up the ridge. The wind was not our friend, and while it may have been about 9 degrees at that point, it felt much colder. We did our best to brave the elements, but several layers of clothes, ski gloves and wool socks can only do so much. Over the last day and a half, we've managed to hit up most parts of camp. We checked out the Council Ring, athletic fields, riflery and archery ranges as well as the villa. Another thing that is very different about winter at camp is the sunset. During the summer we're used to picturesque sunsets at the Council Ring over Clear Lake. By this time of the year, the sun is setting further south in the sky, so we see the sun setting over Brewer's Bay. A potential winter funbug dude assignment would include watching the sun set towards Timber Bay Resort. We'll head back to Chicago tomorrow. Again, keep an eye on The Siren for more news, including full details on the exciting off season camp projects. For more pictures of our "winter" trip to camp, check out the album on Facebook. We'll be adding more pics in the next few days! 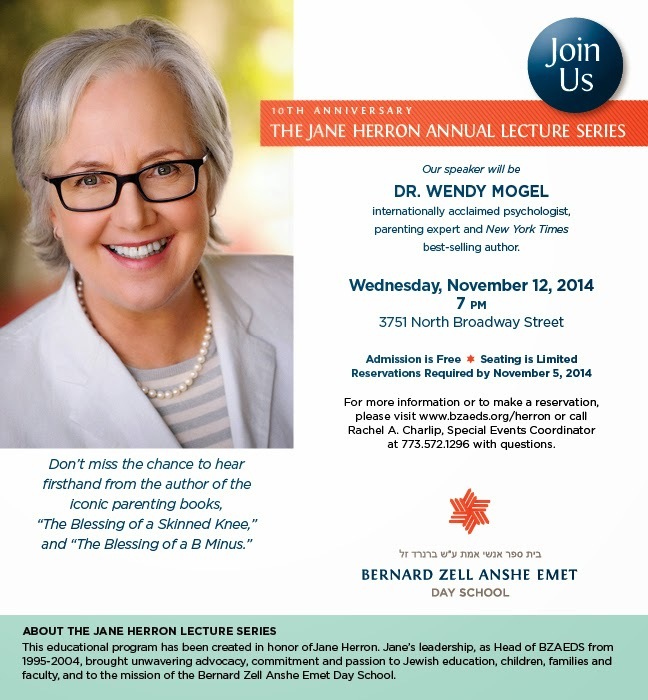 For those in the Chicago area, and particularly those in the City of Chicago, Dr. Wendy Mogel will be speaking on Wednesday, November 12th at 7pm at Bernard Zell Anshe Emet Day School. Dr. Mogel's session "will discuss how parents can raise self-reliant, appreciative children in a nervous and entitled world. Her talk will be followed by a brief Q&A and a book signing." Dr. Mogel is a clinical psychologist, international public speaker and New York Times best selling author. She wrote The Blessing of a Skinned Knee and The Blessing of a B Minus. Both books help navigate some of the challenges of parenting children and teenagers and focus on raising compassionate, self reliant and ethical kids. The event is free of charge, but space is limited, so if you are interested, please RSVP. Thanks to NSC mom Margie Goldblatt for passing along info on the session! Do you know of a lecture, session or something else that would be a benefit to NSC parents, campers, staff or alumni? Email us at office@northstarcamp.com so that we can spread the word! After our summer ended, our staff headed off in all directions. Some went back to school, other began world travels. Here's an update, so check out what our 2014 staff are up to! - JOE CHRISTIAN is a sophomore at UW-Lacrosse where he is majoring in biology and joining ROTC program in the Fall. Joe will be playing on his club lacrosse team as well. - SCOTT PLONSKER returned for his sophomore year at University of Illinois, where he is in the AEPi fraternity with Jonah Baim and Sam Friedland. Scott is studying business and is also in PGN, a business fraternity. - NED SHASHOUA is a freshman at Northwestern University where he is studying chemistry. Before school started he traveled with his dad to the Grand Canyon and Las Vegas. - MARK HEMMERMAN headed off to travel all around the US. He met his sister on the West Coast to travel LA, Grand Canyon, and San Francisco. Than he’s headed to Orlando to meet Alex Holmes and traveled the East Coast with him. He returned to England, going back to school at the University of Hull for his Arts and Humanities degree, and he will started back up with lifeguarding and running his karate club. - SAM BRICKER is a senior at Deerfield High School where he is the President of the Student Council. Sam will be playing tennis and going on a few college visits. - ELI FRIED started as a freshman at the University of Central Florida where he will be studying Industrial Engineering. - JACOB GUGGENHEIM started his PhD in Biorobotics at MIT. He headed to DC for a week before moving to Boston. Jacob is planning on getting onto an IM Ultimate Frisbee and volleyball teams. - ARI WEIL is at Pomona College where he is a freshman most likely studying International Relations. He hopes to keep biking and play some ultimate frisbee as well. - MIKE SLAKIS returned to the University of Illinois for his sophomore year where he is studying civil engineering. He is in the Sigma Nu fraternity and is the Kitchen Manager there. Mike is also in Illini on Target, the shooting club at school. He plans to work at the rock climbing wall. - MICHAEL BERGER is a sophomore at American University in Washington D.C, where he is studying political science and journalist. He continued his involvement in Students Helping Honduras as the director of recruitment, and will do a second trip there in the winter. - IAN MICHELSON is a senior at New Trier. He’ll continue to play tennis to gear for up for the school season. He’s planning on going to the US Open in New York. - ADAM CLOCH is starting as a freshman at Miami of Ohio where he is in the business school. Cloch is looking forward to keeping his hockey skills fresh on the IM teams. - HOLDEN GREENBERG began as freshman at Carleton College in Northfield, MN. Holden wants to continue his interests in Ultimate Frisbee and Shakespeare. Before heading off to school, he had a trip planned to Maine. - JACK WALKER is in his sophomore year at the University of Southern California where he will study English. Before he left for school, he and his band the White Siberian Tigers played a few shows scheduled around Chicago and Champaign. - NOAH BROUTMAN is inhis junior year at Deerfield High School where he is on the bowling team, Earthworks, and the stage crew. - FOREST LEMON returned to the University of Arkansas for his Junior year, where he is studying mechanical engineering. Forest left from camp to go with his family on a week-long trip through the Boundary Waters. At school, he’s working as a lifeguard at the rec center on campus while also rock climbing and doing IM football and softball. - ISAAC LASKO is moving to Boston to start as a freshman at Tufts University, after completing a gap year program in South America last year. Isaac is planning to follow a pre-med track. Isaac left camp a few days early and headed to Budapest and Berlin with his immediate family and a reunion with his extended family. - ETHAN LEVY is in Madison where he will is a freshman at the University of Wisconsin. Ethan is planning to do intramural sports. - BRAD MILLER is back at University of Wisconsin-Whitewater where he is a sophomore studying elementary education. Brad is on the Lacrosse team, which travels around the Midwest for tournaments. - SPENCER REED is a senior at Loyola High School in Los Angeles, where he is going the Features Editor for the newspaper. Spencer is on the student council and the Crew team. - PHILIP RASANSKY began his freshman year at Dartmouth. Before he headed to school, he helped his twin brother Parker move in at the University of Texas in Austin. - JACOB ZIONTS is entering his senior year at Highland Park High School where he is involved in DECA and the debate team. - DANNY VERB returned to Tulane University for his sophomore year where he is studying business and computer science. 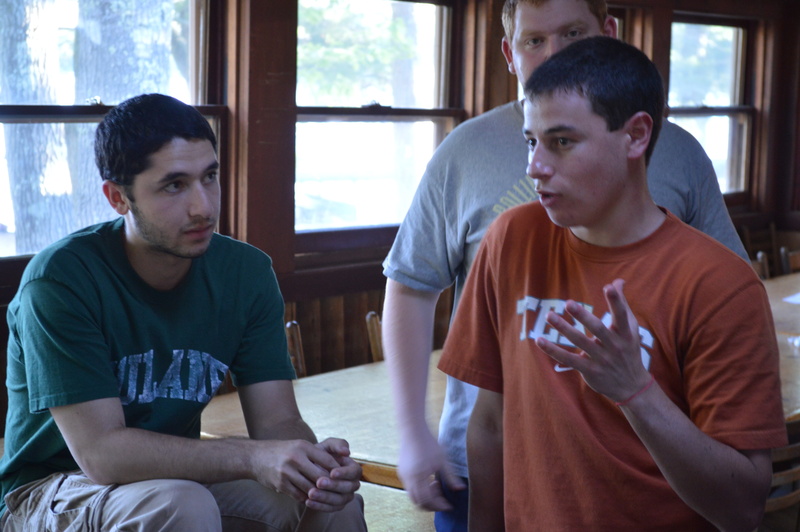 He is part of the Hillel Leadership program and involved in his fraternity Zeta Psi. - CHIP KASS is a freshman at Wesleyan University in Middletown, CT. Chip is studying economics and political science, and also hopes to keep up with theater and music. Chip headed to San Francisco with his grandpa before he left for school. - JACOB BYCK is a senior year at Deerfield High School. Jacob is involved in DECA and devoting himself to his fantasy football team. - NATHAN MARGRETT returned to school at University of Wisconsin - Lacrosse where he is a junior studying archeology and psychology. - MAX SINTON is a senior at Deerfield High School where he will be participating in DECA and travel lacrosse. Fantasy football will also take precedent over most matters throughout the Fall. - JONAH BAIM is back for his sophomore year at the University of Illinois where his a computer engineering major. He is also the athletics head of the AEPi fraternity and on the Illini volleyball team. - ETHAN HANDLER is enjoying his senior year at at Glenbrook North High School. Ethan will be playing a lot of tennis and is on the math team at GBN. He is on the Student Advisory Board, and is also a Peer Group Leader under the tutelage of Linda Rosenblum (the daughter of Lou and Renee Rosenblum, who founded North Star). - ZACH WEBER is a junior at Roycemore Academy. Zach continued teaching climbing in Evanston and Chicago. His family is planning a trip to Asia. - DAVID GLASS is a senior at Highland Park High School. David is on the school sailing team and continues to play the piano as well. - DYLAN DJ JACOBS is back at Bradley University for his final college semester. In December, DJ will graduate with a degree in Interactive Media with a minor in computer science, and is looking to design the next great Disney movie. - ZACH SHAPIRO is in his junior year and Francis W. Parker School. Zach is playing shows through School of Rock and is participating in Model UN. - CHARLIE STERRETT returned to the University of Illinois for his junior year. Charlie is studying political science. He is also the president of his fraternity Delta Chi and is a data analysis intern at the U of I Alumni Association. Charlie is also the co-chair of iHelp, the service wing of the Alumni Association. Charlie is looking forward to competing in the Big Ten Classic Bass Fishing Tournament in October. - MAX PASTAN is a junior at Proctor Academy. Max is going to be involved in their chapter of Future Business Leaders of America. After camp he headed to Arkansas to do some community service work with Kipp Academy. Max also played soccer in the Fall. - ZACH WOODY WOODBURY returned to Western Illinois University where is a junior studying information systems and economics. He will continue on the bass fishing team and is now the web coordinator of the team. - DANIEL LEVINE is a senior at Parker, and is working the Illinois gubernatorial campaign. Daniel is the copy editor of the school newspaper as well as a writer. This fall Daniel kept playing tennis as well, preparing for the school season in the spring. - ETHAN RANE is a junior at Stevenson, where he is part of the ultimate frisbee club and intramurals as well. - ELLIOTT GOLDBERG is a junior at New Trier High School, where he is involved in the Track and Cross Country teams. - BIRCAN MUSTAFA traveled to Indianapolis and Chicago after camp. He was hoping to check out Los Angeles as well. Upon returning home, Bircan began working towards becoming a quadrant supervisor at Wembley Stadium. He also was able to take in the Falcons-Lions NFL game in London. - SAM FRIEDLAND returned for his sophomore year at the University of Illinois, where he is living in the AEPi fraternity with Scott Plonsker and Jonah Baim. Sam is the philanthropy chair of AEPi while training for a half-marathon. Sam is writing for the satire newspaper on campus. - AMANDA CHIN heading back home to Columbus, OH to spend a few weeks with her family. She is now working as a nurse in Indianapolis. - CHAD PRATER moved to Minneapolis where he is teaching at the Twin Cities German Immersion School. Chad is teaching middle school math. - CAITLIN PALGEN is in her senior year at the University of Illinois where she is studying nursing. At school, Caitlin spends her free time at the rock wall and is also hoping to work in a hospital at the same time. - ROBYN KIRK is in Cincinnati where she is a teacher at Ohio Valley Voices. Before heading back, she stopped in Minneapolis to reunite with some old friends. - IKE NIERMAN is a junior at New Trier where he is a pole vaulter on the track team. In his free time he likes to spend time with his friends, play music and play basketball. - MICHAEL PALGEN is a junior at the University of Illinois where he is studying actuarial science. Michael is the brotherhood chair for Sigma Nu and is working as a desk clerk in one of the residence halls on campus. - JACOB LEHR is back at USC where he is a junior studying economics and international relations. Lehr Bear is leading trips for the Outdoor Adventures club at school. Jacob will continue to tutor and mentor through Troy Camp. - NICK HILL is back at Indiana University, finishing his degree in Business and Outdoor Recreation. Nick will be finishing in December and is hoping to lead trips through the spring. - JEFF PADESKY is in his senior year at Western Illinois University where he is studying Environmental Science, Geography and GIS. Jeff will also be running track, a member of the bass fishing team, and the ultimate frisbee team. Jeff is also beginning the WIU Hydroponics club. - RICHELLE POISSON is back at American University for her sophomore year where she is studying education as well as Spanish and international relations. Richelle will also be continuing to work on behalf of Students Helping Honduras as executive board member. In her free time she works as a nanny as well. - OLIVER ROCKMAN returned to Emory University in Atlanta for his junior year where he is in the School of Business. Oliver is also a writer for the Emory Wheel student newspaper and a member of the outdoor club. - NICK KASLE headed back to High Point, NC for his junior year at High Point University where he is studying Physics. Nick is also on the club swim team at school. - LUCAS KASLE is a freshman at Muhlenberg College in Allentown, PA, where he is following in his big brother’s footsteps and is studying physics. Lucas also intends to be on the swim club at school. - STUART WRIGLESWORTH began his post-camp adventures by heading to Houston where he met up with a friend from University. After that, he headed up to Chicago, DC and New York. Stuart is in his final year at Manchester Metropolitan University of Cheshire. He’ll is the chairman of the rugby club and also of the surf and snow society. - ALEX HOLMES headed to Chicago where he stayed with his co-counselors Ike Nierman and Ian Michelson. From Chicago he headed to Champaign to visit the University of lllinois, and then he flew south to Orlando. After Orlando, Alex traveled to New York, Niagara Falls, and Washington DC. In September, Alex left the US for Hong Kong where he will is working for several months teaching personal development and outdoor education for kids. - WILL HUNT - will be going to meet his parents in San Francisco and will be heading up to Yosemite as well. Then he will return home and volunteer at three different schools. Following that, he hopes to head to Africa where will lead a volunteer effort to teach youth sports. - CHRIS McGARRY headed to New Orleans for a week to see his dad and show Beata the French Quarter. He then returned home to Davie, FL. - CIARAN POLLOCK returned to Ireland where he traied for a charity boxing match. He started school back up again where he is studying Sports Management and Coaching. - STRATTON SHOOK took a road trip to Seattle to visit his parents and see the Nationals play the Mariners. Then he attended a bachelor party for his high school friend. He is now traveling the world with Chris Rodriguez, first heading to China and then Vietnam. - CHRIS RODRIGUEZ – stayed on at camp for a few weeks to help close up and do some improvements, before he headed back to Fort Worth to spend some time with his family and his new baby nephew. He’s in the midst of travels with tripper Stratton in Asia. - BEATA TAKACOVA - is returned to Slovakia where she recently graduated from her university with a degree in English and French. She is hoping to work as a translator working to translate poetry with one of her professors. - DANI VARGAS MONTERO returned to Pachuca in Hidalgo, Mexico where she is finishing up her schooling in Culinary Arts. Dani will be travelling to Playa del Carmen to work during her vacation. We’re nearing the end of October and while the summer of 2015 is over seven months away, enrollment is as strong as ever! Want to know who’ll be there next summer? Below are our enrolled campers and we know that others are planning on being at camp, too. Do you know someone who is looking for a camp for next summer? If you think that North Star would be a good place for them to spend the summer, fill out our “Refer a Friend” form or be sure to tell them about NSC! 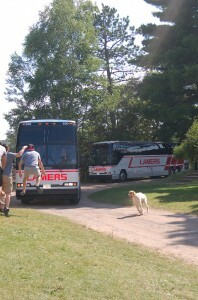 Andy has already begun his travels and loves visiting with prospective camp families. 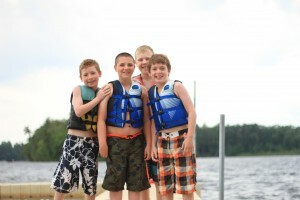 Our best marketing is referrals from current and former campers and camp families. Child psychologist and author Dr. Michael Thompson was in the Chicago area on Tuesday, October 21st, speaking to parents on issues facing pressured children. It was great seeing several North Star parents at the event and for those of you who weren’t able to attend; we wanted to send along a few key points from the seminar. 1. School isn’t easy. Seven periods a day, five days a week, school isn’t easy. On top of that, you add social pressures, sports, extra-curricular activities, tutors, its easy to not recognize the pressures that your son goes through on a daily basis. Think back to when you were in middle school or high school. It may have been a few decades but try to remember what your school experience was like when you were the age that your son is now. The challenges and pressures that you and your peers felt then are likely what your son is going through now. Many parents say that they wish that they could go back to their school days. Usually that means college, not high school and certainly not middle school! 2. Every journey is different. For 1/3 of kids, school is a great fit. They are not only voracious learners, but they fit in well to the structure and regimentation that is the school environment. For the next 1/3, school may work well for them, but there are bumps along the road and there may be a subject matter or social element or two that is a real challenge for them. For the last 1/3, school is really hard for them and is a constant challenge. If a kid is good at English, they get a pat on the back, but if they get a C- on a math test, they get tutoring and additional homework in the very area that is their daily struggle. 3. Kids live for now. As a parent, you’re programmed to think about the long term. For some, this may mean getting your three year old into the right pre-school, positioning them for success in elementary school which will get them on the right track to pre-AP courses, honors level curriculum, undergrad at Stanford and ultimately partner at the law firm. To a parent, getting an A on the chemistry test is another step in the journey. Your son doesn’t think that way. Kids are predisposed to take each day as it comes, to live for the moment and they fear about missing out on the important social event. One last tangible take-away from the session; when you ask your son how his day was, opt for a more specific question than “so how was school?”. You’re showing real interest and want some information while your son may see this as an annoyance and a concern only about his letter grades. Instead, ask him to tell you about something good and something bad that happened at school or maybe ask him how he likes math this year with Mr. Coleman instead of with Mrs. Macdonald from last year. You’ll learn more about his day and he’ll have a specific question to answer. The editors of the Siren are excited to announce some big changes. We've always been your place for all news North Star related. Over the years we've been able to branch out and utilize Facebook, Twitter, Instagram and other social media sources to keep in touch. Going forward, we're going to utilize the North Star Blog as a hub for North Star news. Instead of a monthly (or bi-monthly...) news letter, we're going to bring news here, and on a more regular basis. The print Siren, which became the online Siren was always a great way to reach out to campers, parents, staff and alumni. Truth be told, putting together a multi-page newsletter was a cumbersome task and ultimately we weren't sending out news updates as often as we wished. The new Siren, which our blog is now known as, will have news more often. We'll split the Siren into shorter newsletters, delivering them to you more often. We'll continue to utilize social media and we'll need your help sending in newsbits. Parents, make sure you let your campers know about the Siren! Throughout the month of October, the American Camp Association's Camp Moves Me campaign has seen people all over the country work to raise money to send kids to camp. Several members of the North Star community have gotten involved to help the effort. October isn't over yet, so see how you can either sponsor one of our campers or staff members...or get involved yourself. Michael Thompson Ph.D will be speaking in the Northern Suburbs on Tuesday, October 21st. We've had the opportunity to hear Dr. Thompson speak and he has always been on our list of experts worth listening to. His sessions, "The Pressured Child: Helping Your Child Find Success in School and Life" and "Best Friends, Worst Enemies: Friendship Development, Popularity & Social Cruelty in Childhood" are sure to be helpful for any parent. Learn more about Dr. Thompson's sessions and how to RSVP. All sessions are free to attend. We're setting our reunion schedule and looking forward to seeing campers and staff from coast to coast. Up first is the Chicago Area Rreunion on Sunday, November 2nd from 3:30-5:30. The reunion will be at Pinstripes in Northbrook. - We're proud to be a part of the Camp for All Kids Foundation. This summer, a videographer visited the five Camp for All Kids Camps; North Star, Birch Trail, Chippewa, Kamaji and Timberlane. Check out the amazing video and learn more about the tremendous organization! Campers, you may even recognize a few people. Best ice cream shop in Wisconsin? Of course it's Wests Dairy in Hayward! Video: Dr. Michael Thompson on Eight Things that Parents Can't Do for their Children (but wish that they could). From time to time we post articles and other resources that we feel are valuable for members of the North Star community. For those in the Chicago area, there are some upcoming events in the northern suburbs which we feel are worth attending. Michael Thompson, Ph.D will be speaking on Tuesday, October 21st, and for those who are able to attend, its sure to be worth your while. The events are free of charge, but an RSVP is necessary. Dr. Thompson will be speaking both in Deerfield (North Shore Unitarian Church) and at Stevenson H.S. on Wednesday on a few relevant topics that we know will be useful for parents. At 9:30am in Deerfield and at 7pm at Stevenson, Dr. Thompson will be presenting "The Pressured Child: Helping Your Child Find Success in School and Life." You can read the full session description here, but there is no doubt that this is a pressing issue. At 1pm in Deerfield, Dr. Thompson will be presenting "Best Friends, Worst Enemies: Friendship Development, Popularity & Social Cruelty in Childhood". This is sure to be a valuable session on the social complexities that children face. Here is the full session description. We first experienced Michael Thompson a few years ago when he served as the keynote speaker at the American Camp Association's National Conference. Dr Thompson's straightforward and candid views were great guidance. Dr. Thompson went on to serve on the ACA's national board. He's the author of the book Homesick and Happy, but his expertise is certainly not limited to the summer camp world. He's written several books on children. He and co-author, Dan Kindlon, wrote the New York Times best-selling book, Raising Cain: Protecting the Emotional Life of Boys. He is the author of Speaking of Boys: Answers to the Most-Asked Questions about Raising Sons and It’s a Boy! : Understanding Your Son’s Development from Birth to Eighteen. With co-authors Catherine O’Neill Grace and Larry Cohen, Ph.D., he wrote Best Friends/Worst Enemies: Understanding the Social Worlds of Children and Mom, They’re Teasing Me: Helping Your Child Solve Social Problems. He and Teresa Barker wrote The Pressured Child: Helping Your Child Find Success in School and Life. We know that Dr. Thompson is thought provoking and his knowledge of and experience working with children makes this an event that should not be missed. If you are interested in attending, please RSVP here. Throughout the month of October, the American Camp Association has challenged anyone and everyone who has been impacted by camp to help raise money to send kids to camp. Their Camp Moves Me campaign encourages us all to set up accounts, be active for the month, and find sponsors to pledge us. Through our activity (running, hiking, walking, etc), our sponsors will make donations that will find camp scholarships. Check out Andy's Camp Moves Me video below. So we're challenging the North Star community. You can get involved in two ways. Here is a list of North Star folks who have joined the Camp Moves Me fundraising campaign along with links to their pages. Click on any of their pages and become a sponsor. Or you can do one better... join the campaign and create your own Camp Moves Me page. You create a page, commit to run, hike, bike, walk, etc, and then encourage people to sponsor you. By raising just $30, you'll receive the official Camp Moves Me t-shirt, and if you raise more you'll have a chance to win great prizes from Toms, Chacos, Crazy Creek, Backcountry.com and more. Once you set up your page, email us at office@northstarcamp.com with your page information. We'll add your name to the list and spread the word that you've taken the challenge. Lets show everyone how much camp means to us all and lets help send kids to camp! During the month of October, I am participating in the American Camp Association's Camp Moves Me fund-raiser in order to try to provide every child with a camp experience. I have pledged to run 50 miles throughout the month of October in order to help give the gift of camp to every child. I was lucky enough to have a wonderful camp experience at North Star, and I hope that you will help contribute in my effort to make sure every child is afforded the same chance to learn and grow, experience the outdoors, gain confidence and real life skills, and form lifelong friendships. I would also encourage you to get out and participate yourself. If you'll be running anyway (or biking, hiking, etc), why not raise a little money for a great cause at the same time. Go to athlete.com/aca to sign up. From our 70th reunion, the "We Were There" song from 2014 through 1946! I hope that all is well and that you are enjoying what is left of your summer. 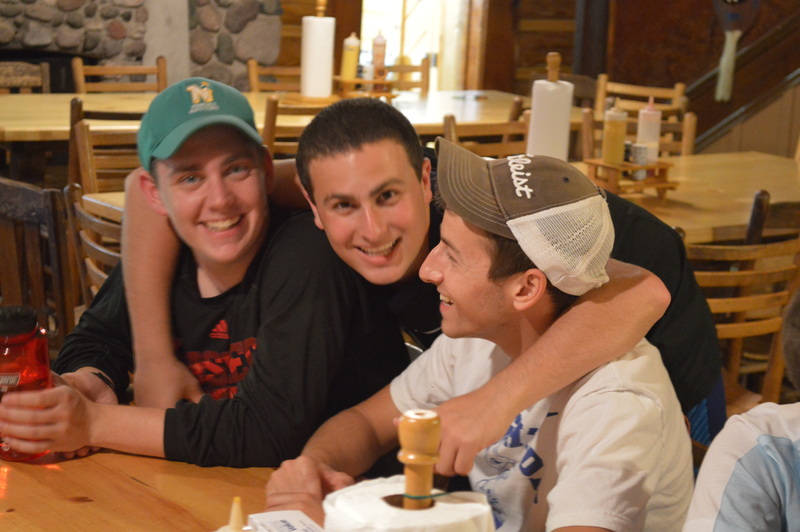 Last week we capped off the Summer of 2014, North Star's 70th summer, with an alumni reunion. Alumni gathered from all around the world to travel back to the Northwoods and we had representatives from each summer dating back to 1946, North Star's second summer. As we gathered Friday night at the Council Ring to share keylogs of how camp has impacted our lives, it was a wonderful reminder that the lessons learned and friendships formed really do last forever. Now with a minute to look back on the Summer of 2014, I want to express my gratitude towards the whole North Star family. I also wanted to give you an update on my family. Vickie began chemotherapy last week and she is doing great. The prognosis is very good, and this is the next step. She will have regular treatments through Thanksgiving, and then will undergo radiation therapy after that. With her being so young, we have chosen an aggressive course to hopefully prevent any recurrence of her breast cancer and ensure that she has plenty of camping left. The North Star community has been absolutely wonderful through this process, and we cannot thank you all enough for your support. If you are interested in receiving further updates, you can do so by joining our Lotsa Helping Hands site. Vickie and I are very much looking forward to knocking this out and getting back up the Northwoods for the Summer of 2015! And as we look to the Summer of 2015, don't forget that WE CAN ONLY GUARANTEE PLACEMENT FOR RETURNING CAMPERS IF YOU ENROLL BY SEPTEMBER 1st. Please don't wait! This is our way of protecting our returning campers. After September 1st may be too late in many age groups. If you have a younger son that is interested in coming to camp next summer, please enroll him before September 1st as well. And if you have any friends or family that may be interested, please let them know that they should be in touch quickly. You can also fill out our Refer-A-Friend Form online. We are looking forward to a fantastic Summer of 2015 and we hope that you will again join us. Most of all, we want to thank you for trusting us with your sons. We often boast that we have the nicest campers in the world, and we mean it. So thank you for making the decision to have them spend the summer with us. We look forward to many more! The idea of holding a 70th summer alumni reunion was pretty much a no brainer. 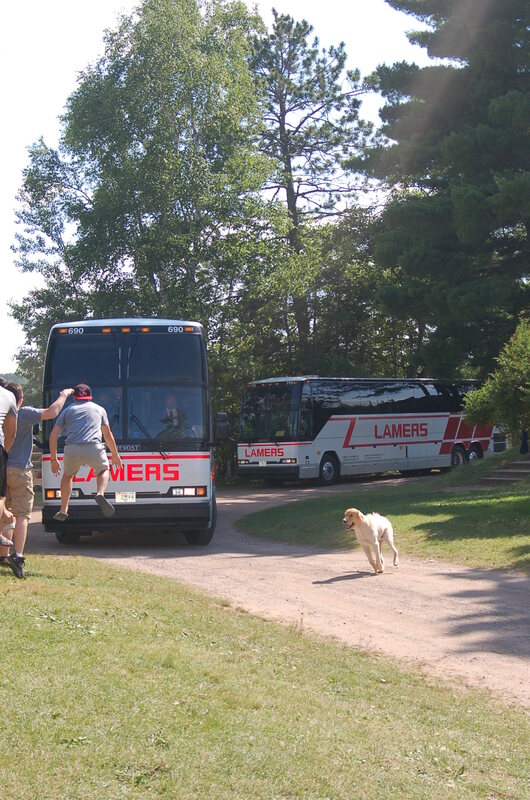 Its been about 15 years since we last held an alumni reunion on-site at camp and we knew that there were lots of former campers and staff who were really wanting to get back to North Star and reunite with their camp friends. We really began pushing the event in March and with a lot of support from a handful of active alums, we were excited to welcome about 70 NSC alums to North Star this past weekend. As is always the case, we follow up our summer with a week of post-camp, where about 25-30 families spend time here at camp transitions to more of a resort. This year we ended post camp a bit early so we could hold the reunion. Even before post-camp was over we had a handful of alumni trickle into camp, joining us for our post-camp bowling extravaganza and then coming into camp on Friday morning. Not coincidentally, they started arriving right around 11am, which is when we begin waterskiing for the day. Over the course of the day on Friday, we went from a handful of alums to almost our entire crowd. It was truly special seeing the different reactions when people got to camp. For some, it was being at camp after decades of absence that seemed to really strike them. For others, it was seeing friends who they hadn't seen since their camp days that was truly emotional. Our Friday evening saw that emotion continue as everyone went to the Council Ring for a Friendship Fire. We had some songs along with a few alums who spoke, including Jim Silberman, who did a tremendous job bringing the spirit of Lou and Renee to the reunion. As the sun was setting, Andy lit the fire for a keylog ceremony. At first, only a few people went down and we figured that it may be an abbreviated keylog ceremony. Almost an hour and a half later, the final keylog was thrown onto the fire. The outpouring of feelings, memories and gratitude at the keylog ceremony was truly special and really bridged the different generations that were at the Council Ring. After Forest Green and Taps, everyone headed to the Lodge for more stories and even a few Tombstone pizzas. Saturday was a day of action as we had two periods in the morning with open programming. Reunion "campers" got a chance to shoot riflery and archery, go waterskiing and participate in their favorite camp activities. The big attraction was at Lou's Diamond as half the crowd played in a softball game. 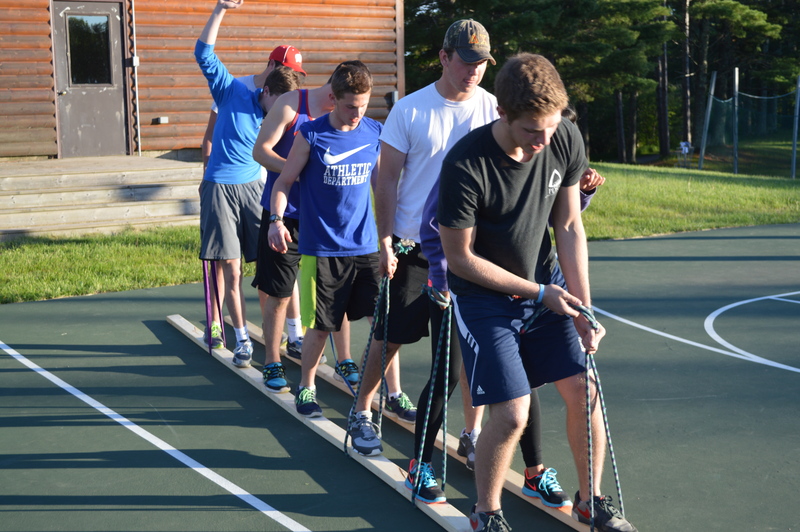 As the day went on, our "campers" continued to do their best to recapture their youth as they tried to get up on slalom skis and play speedball. We took time in the afternoon to have a marathon. Everyone was put onto either the green or white team and everyone was given a role in the 17-event marathon. The marathon got off to an auspicious start for the white team. Only a few events into the marathon the canoeing tandem of Jon Sherman and Joel Richman were barely off shore when they tipped their canoe. In fairness, the canoe didn't end up tipping, however both Sherm and Joel ended up in Brewer's Bay. The white team would catch up and the boil-water-boil would be the deciding event. Ultimately it was youth over beauty as Jimmy Sarnoff and Rob Kallick were able to get their water to boil ahead of Rieber Paulson, Richard Rusnack and Guy Wolff. After dinner, everyone headed up to Mike Hall for a talent show/request program. Everyone was treated to Manfred Frank's "Apples and Bananas", Tim Schroer's "Church Lady" and lots of other great songs and skits from years past. Everyone then rose for the "we were here" song, and it was amazing to see that every year from 2014 through 1946 had at least one person standing. After everyone participated in "Carry On" and "North Star Blues", we again finished the evening (and for many, started the morning) in the lodge, looking at pictures and telling more stories. There were certainly more than a few sore campers on Sunday morning, and unfortunately, our reunion had to come to a close. Many left after breakfast and by lunch, we had a few final campers standing that needed to stretch their stay at camp as long as possible. We'd like to throw in a keylog to everyone who was able to make it to the 70th reunion. The event also served as a fundraiser and allowed us to "remember the scholarship fund" as all money taken in by the event was donated to the Camp for All Kids Foundation. We know that many more wanted to be here and were made a bit jealous as they heard continuous updates from the weekend via text message and email. Its our hope that we are able to make this a regular event and we are looking forward to celebrating with you all in August of 2019 as we recognize North Star's 75th summer. While we joke at camp that "there's still plenty of camping left", there's no denying that in 24 hours, camp is going to be pretty empty. We want our campers to enjoy every last minute of their time at North Star, however today we pack up and tomorrow campers will head home not only across the country, but across the world. We know how excited our parents will be to see their kids. A month away is usually more challenging for Mom and Dad than it is for our campers. Processing the camp experience can be a very important tool to help wrap up the summer and for you to learn about the past four weeks. We hope that these tips help you with that. Your camper will get off the bus and its natural for you to expect him to share story after story and to hear a dozen tales before your car enters the driveway. For some, that will happen. For many others, however, your son may not be flowing with stories off the bat. Each camper processes his camp experience a little differently, so don't be surprised if he's not as forthcoming with details about counselors, cabin mates and about his camp experience. For many, the end of camp is very emotional. This is certainly the case for our older campers, especially those who are spending their final summers as campers. In 24 hours they go from sharing their cabin with 8-14 others, sitting in a lodge of over 250 and being a part of a unique community to often having a room by themselves and not always having 10 people to head down to swimpoint with. There is culture shock, so give your son a bit of space as he adjusts. Further, each kid is different in how verbal he truly is. Some will be very vocal about their camp experience and want to share every detail. Others will be more internal about it. Give your son some space as he makes re-entry and don't worry if he's not as vocal about the experience. The stories will come and hopefully you'll also see the impact of camp, not just hear it. 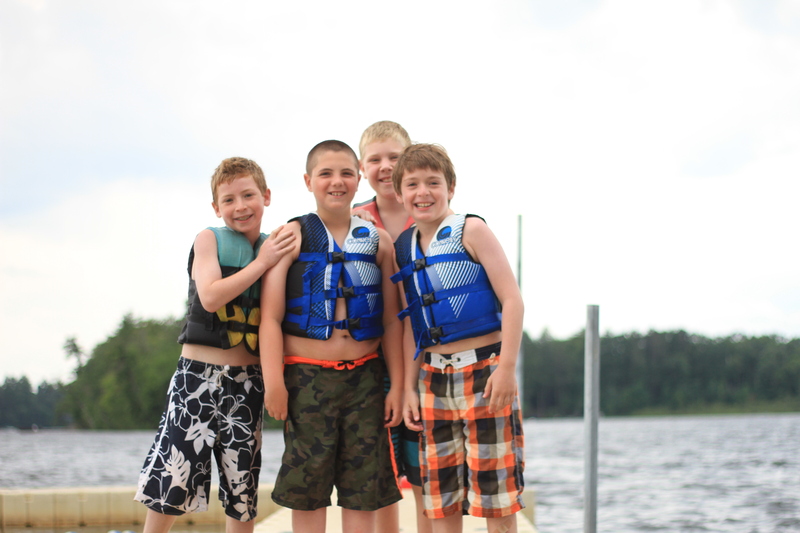 At camp, your son did lots of different things than he did at home. We believe that you'll see your camper return home having grown as a person, both in attitude as well as responsibility. 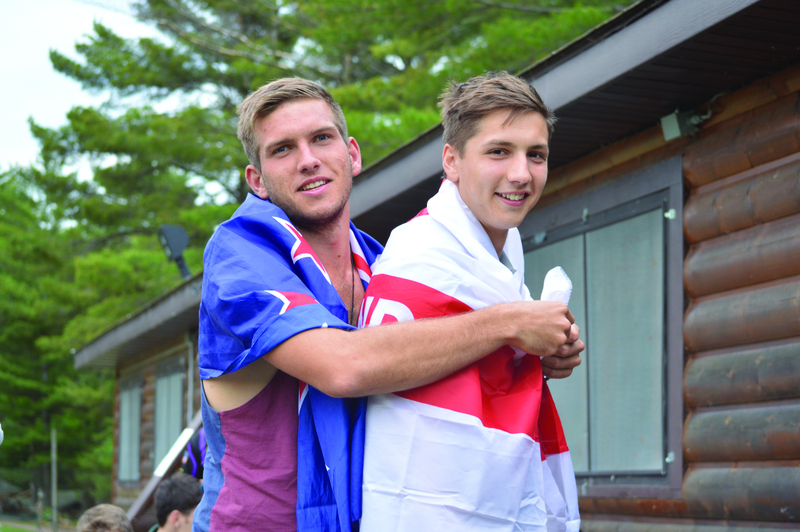 Living in a communal environment, its essential that all campers contribute and take on responsibilities. This includes things like cleaning their areas, helping at meals and helping others. Keep that going at home! Camp is one big family and that family works much better when people work together and everyone contributes and we hope for your son, this will happen at home as well. Beyond that, camp tends to break campers of some habits that aren't necessarily productive. That is different for each kid, but you can help to make sure that your son doesn't fall back into those old habits when he gets home. One specific area that we encourage you to focus on reliance on cell phones, tablets and other electronic devices. At camp we have a no devices policy and at home you can build off of this and limit the time your son focuses on a screen. This isn't to say that electronics don't play an important role, they do. This summer, however, your son has proven that he doesn't need to be device reliant, particularly at meals. Have them Keep in Touch! Your son will leave camp with new friends. Some of them may live a few miles away. Others may be from a different state or country. Encourage them to stay in touch. Have them make a call every now and then, send a birthday card, or even a text or facebook message. Encourage them to set up a get together for a weekend lunch with cabin mates or other friends. These off-season communications will help them continue these great relationships and will serve to make future summers more meaningful as their friendships continue to grow and strengthen. We'll keep in touch too! We take advantage of social media and will be posting on Facebook (our page is northstarcampforboys) and Twitter (our handle is northstarcamp). We'll also post pics on Instagram at northstarcamp. Make sure that you and your camper keep us updated so we can share their news in our newsletter, the Siren. We work to keep the campfires burning all year long! If you were to walk around camp right now, you'd see lots of groups of campers doing various random things. Head over to the waterfront and you'd see a dozen campers on paddleboards, paddleboats and other water toys. The athletic field has a soccer game going on while disc golfers head towards the Council Ring. Swim point has the blob and splashmat in full use while a few campers log roll. You'd even find a few campers ankle deep in mud as they dig through the boat slip for frogs and other animals. This is an organized free and something we do at least once a day at North Star. Like all other camps, we tend to spend most of our time talking about the special events that happen here at camp. You can read blog entries about special programs like UN Day, Pow Wow Day, Espionage, and the Camper Counselor Hunt. We spend lots of time really highlighting the instruction provided to campers on our program. We're certainly proud of the community feel and great mentoring that are provided by our counselors. What we don't talk about very much is what quite frankly isn't all that exciting, when campers find a pick-up game to play in, when they play a game of cards with their friends, or when they decide to just do nothing. We have organized free periods each afternoon and occasionally in the evenings as well. Campers will raise their hands to let us know which activities they are planning on heading out to. While the majority of our boys no longer know the meaning of a pickup game, this is a chance for them to just play with their buddies. Our counselors staff many of the activity areas (archery, climbing, riflery, and lifeguards man the waterfront), and lead some other games and activities. The boys are welcome to head up to the courts, play a round of disc golf, or sit on the dock and read. They don't even need a counselor. Whoever shows up can play. Free play is a popular subject these days when it comes to youth development. More and more, we are finding that kids are scheduled from sun up to sun down. In many schools, recess has made way for more academic learning and few states require as many periods of PE as they did ten years ago. When not in school, kids are being driven from sports practice to college prep tutors and then to other night time programs, clubs and events. This doesn't even take into account the pile of homework that awaits and keeps many high school students up later than they should be. This Stanford Study showed that homework loads in high achieving communities can lead to high levels of stress and can often be counter productive. Over the last few years, as we've attended camp conferences, the subject of free play has gained more and more attention. The belief that kids are over scheduled and over structured has led many to believe that this has we are creating kids who lack creativity, are unable to think for themselves, are less self reliant and struggle to problem solve. The days when parents sent their children out to play and often didn't see their kids until it was dark out have all but ended. There is quite a bit of debate over whether kids should be out, playing on their own, there is more and more evidence that providing less structure to play time has real, tangible benefits. Instead of having their full schedule put together by parents, teachers and coaches, the onus is on kids to figure out what they are going to do. Instead of having games and activities planned for them, kids use their own creativity to figure out games and activities of their own, often inventing new, fun activities. Instead of constantly being surrounded by teammates, friends and others, kids have the opportunity to be by themselves and take stock of their feelings and emotions. At North Star, this is why we have organized free periods. They are organized and there is a structure, allowing campers to choose from different sports games, open activities and other water and land based activities. They're also given the opportunity explore camp, take out a ball and play catch, and find their own, safe ways to have fun. One of my favorite comments tonight was when a camper told me that he was just looking forward to checking out a stand-up paddleboard on the waterfront and watching the sun set. One of the things that we all can do to help our kids is find more opportunities for them to be self reliant, use their own imaginations and sometimes just do nothing. NSC Log Rollers Head to Lumberjack Bowl! Once again this year we have had the opportunity to work with 7 time world champion Judy Hoeschler, and her family. Her husband Jay and their daughters Lizzie and Abby have been training us on our Keylog logs and spreading the love for the sport of log rolling! They have built so much enthusiasm for log rolling, that this year we were able to have five of our campers; Bobby, Jack, Jake, Judd, and Kyle compete in two amateur log rolling competitions. This past week they went to the Namakagon River Rollers Roll Off and the 55th annual World Lumberjack Championships in Hayward, WI. During both of the tournaments the boys were a little nervous and very excited to be rolling and meeting other boys that had been rolling for quite a bit longer than they had. Some of them since they were four years old. During a log rolling match two boys step onto a log and roll until one of them falls off the log. The boy that stays on the log is awarded the "fall". One match consists of the best out of 5. There is also a time limit on each log and if no one falls off in 3 minutes they move the match to a small log (which is more challenging to roll on). On Thursday, the first day of the World Lumberjack Championships all of the amateurs had to be at the Lumberjack Bowl in Hayward at 8:30 AM. The boys waited patiently and watched the Under 10 boys and girls roll until the U13 division was called it was their turn to roll. Some of the boys rolled against boys their age from other rolling clubs and some had to roll against their fellow campers. They had to lose two times to be out of the tournament. Bobby, Jack, and Judd advanced and got to roll again on Friday. Friday we all woke up early again and arrived at the Lumberjack bowl at 8:15 AM to warm up before competing. Jack took 6th place in the U13 division! Everyone put in good effort and Judy was very proud of all the boys. The whole camp attended the Thursday evening opening night of the Lumberjack World Championships to cheer on Abby and LiIzzie while they both competed in log rolling and Abby competed in the boom run. All of they boys want to try the boom run now (good thing they have to be at least 16!) We also cheered on Jason Wynyard and his wife Karmyn again this year. Now that competition is done more and more of the boys want to learn how to log roll. Judy has been back training more first time rollers and working on more techniques for the seasoned rollers. 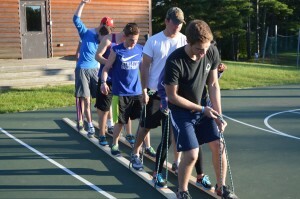 Jake is now working on jump roping while log rolling and Jay stated that he may be the first one to attempt this on a Keylog. His best is 6 jumps in a row. They are also "sword fighting" using swim noodles while rolling. There are many boats slowing down to watch the new activities! There might be many boys asking for a Keylog to log roll with this winter. Can't wait to see the new tricks and speed of their feet next year! We are less than two weeks away from the 70th Anniversary North Star Alumni Reunion and the RSVPs are still coming in every day! There is still time to register and join alumni from around the country at your "North Star home" on August 15-17. We expect to have all seven decades of North Star history represented at the reunion. Whether you want to rehash the controversial great and glorious North Star Party presidential elections of 1974, 1987 or other years, challenge your old cabinmate to leg wrestling (we'll be checking for health insurance cards at the gate) or just sit on the lodge chairs and look out at Spider Bay (the view hasn't changed), we guarantee that you'll have a great time telling camp stories, seeing old friends and becoming a kid again for 48 hours. Need a ride? There are plenty of alum arriving by car from Chicago and flying into Minneapolis. If you need a ride, or have room in your car, please post to our North Star Reunion Facebook page. You can also email me atandy@northstarcamp.com and I can connect you with other alumni. 1) Login to your CampInTouch page or click login in the upper right hand corner. 3) Click on the Forms and Documents tab and complete the 70th Year Alumni ReunionRegistration. All proceeds benefit the Camp for All Kids Foundation (the Scholarship Fund). We look forward to seeing everyone at camp on August 15! PS: Please also help us spread the word about the reunion to your camp friends. You can invite your friends on Facebook, or send them directly to the 70th Reunion Website.